Many economic experts at the global textile and apparel supply chain conference held the first time in Ho Chi Minh City said that Vietnam will be an attractive destination for foreign garment and textile companies this year so the country must be cautious and selective about this capital source so as to avoid being applied trade protectionism measures by import markets. Analyzing the potential of garment and textile industry of Vietnam, Mr. 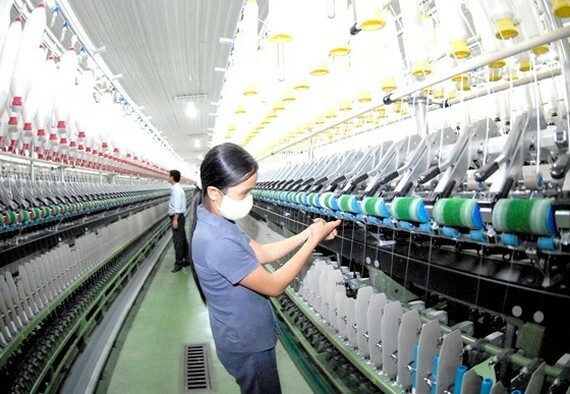 Vu Duc Giang, chairman of the Vietnam Textile and Apparel Association (VITAS), said that there are 7,000 enterprises in the industry, providing jobs for 3 million workers across the country. The industry maintained unceasing growth from 12 percent in 2010 to 16 percent in 2018. Vietnam’s garment and textile exports exceeded US$36 billion last year and was expected to top $40 billion this year. Globally, the country has been showing a great impact on garment and textile supply chain for being the world’s second largest textile and apparel exporter. Many Vietnamese clothing brands including Phong Phu, Viet Tien and An Phuoc have gained positions in global market. According to economic experts, the garment and textile industry of Vietnam will advance further in global market thanks to several existing advantages such as skilled laborers with sophisticated technique. Especially, with recently-signed free trade agreements, import tariffs will be gradually removed for Vietnamese garment and textile products. As for domestic market, Vietnam will also be an appealing destination for foreign investors in textile and apparel sectors, especially Chinese firms. Mr. Le Tien Truong, CEO of the Vietnam National Textile and Garment Group, said that China holds the position as a main producer of textile raw materials and is the largest garment and textile exporter in the world. However, garment and textile export turnover of China posted negative growth with export turnover to the US and the EU market was minus 0.37 percent and minus 2.13 percent respectively. This was caused by trade barriers used by many countries on garment and textile products imported from China. Meanwhile, garment and textile exports of Vietnam grew robustly, especially at the US and the EU market, soaring 7.57 percent and 8.97 percent in tandem. This will urge Chinese garment and textile companies to shift investments to Vietnam in order to take advantage of the benefits and market gap that free trade agreements brought to Vietnam. It is estimated that Vietnam will receive an investment wave of up to $7 billion from garment and textile companies in China, $2.1 billion from South Korea, $1.6 billion from Taiwan and $0.75 billion from Japan. Foreign direct investment attraction is necessary but economic experts also warned that Vietnam should calculate to make use of investments. First, the country needs to choose firms investing in high technology and foreign firms investing in segments that the country’s supply chain lacks of. According to Mr. Le Tien Truong, Vietnam’s supply chain lacks of manufacturers for fiber, dyeing and raw fabric. However, in order to increase investment effectiveness in Vietnam, foreign firms should actually cooperate with their local partners in sharing and transferring production technology instead of a pure cooperation between buyer and seller. Many enterprises even invested in the last stage, comprising of assembly and packing, only to take advantage of the Vietnamese origin to receive preferential treatment when exporting. Mr. Nguyen Phuong Dong, deputy director of the Department of Industry and Trade of Ho Chi Minh City, said that the city has been speeding up the progress of investment and construction of fashion design center. At the same time, the department will strengthen connection with firms in neighboring provinces and raw materials producers to help garment and textile companies in the city to complete the supply chain to promote export turnover this year. 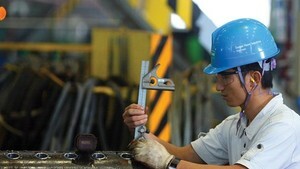 In addition, a specialized industrial zone should be built to give support to the demand to invest and develop of firms. As for Vietnamese garment and textile companies, they should refuse flatly cooperation with a nature of commercial transaction only because it will negatively affect development of the industry as well as export market share in the world. At the same time, they should actively form actual alliance, heading to upgrading and improving production, and develop production chain from designing, developing products, producing raw materials, producing finished products, logistics, to developing market, brand and after-sales service. Mr. Vu Duc Giang added that firms should actively change towards green production. In case that a company fails to pass technical barrier and is found to having caused environmental pollution, it means that that company loses its opportunity to export its products. The China National Textile and Apparel Council said that Vietnam has passed Malaysia, Thailand and the Philippines to become the biggest trade partner of China. Last year, export of garment and textile products of Vietnam to China reached $4.1 billion and China’s export turnover was $6.5 billion vice versa. Major clothing brands have set their feet in Vietnamese market, showing great potential of garment and textile industry in Vietnam. According to the Foreign Investment Agency under the Ministry of Planning and Investment, registered foreign capital reached US$14.59 billion in the first four months of this year, the highest level in the past four years.